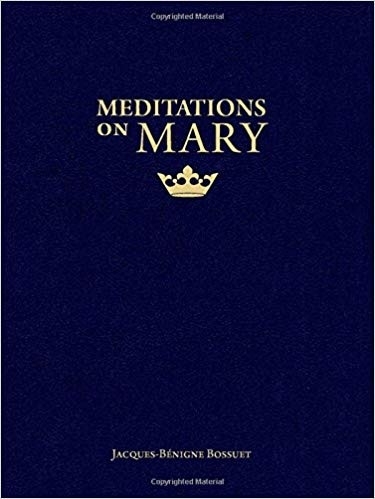 Meditations on Mary features twenty-four of the most powerful and moving meditations written by 17th Century Bishop Jacques-Benigne Bossuet considered to be one of the best homilists in the history of the Church. Author of Meditations for Lent and Meditations for Advent, Bishop Bossuet has been admired for his piety and eloquence for over three hundred years. Now his meditations on Our Lady are available to you in English for the very first time! In these pages, Bishop Bossuet takes you on a stunning pilgrimage through the principal mysteries of Our Lady's life. He masterfully blends what he's learned from Sacred Scripture with the spiritual traditions rooted in the heart of the Church, and illuminates it with his own theological reflections. He'll bring you to a deeper understanding of Our Lady's compassion, her suffering during Christ's Passion, and the loneliness she felt after his Ascension to heaven. Bishop Bossuet will show you how Jesus brings honor to himself by honoring his mother, and how Our Lady is extraordinary solely because of her alliance with Jesus.